"I received the card! Thanks for the very professional way that you have dealt with my past paycheck advance. I'll be sure to refer my friends to Spotya! if they ever have a cash emergency. Take care!" "You guys have been the easiest and most professional place I've ever worked with." "Just a note to say thank you! The amount of $150 was placed in the account this morning. Again many thanks for your help. I will be sure to recommend many clients to your company." "You guys are great... I have referred several co-workers to you... so good to have people like u who are not trying to rip consumers off... but there to help... u are appreciated." "Thanks for getting back to me so quickly. Great customer service from you! I wish all were like you. Have a great day!" "You Guys are great. I recommend you to all my friends. Thanks so much!" the lowest I have found..."
"I contacted a lot of loan places this A.M. only to decline their ridiculous fees. Your company seems organized, efficient and professional in addition to having reasonable fees by comparison. Plus the young woman with whom I spoke was a sweetheart!" I like that. Thanks again." If you're in need of quick cash, Spotya! is the perfect solution. You can be funded within 24 hours or sooner from one of our network of payday lenders. Spotya! will provide you with the direct payday lender that's right for you. With some of the most competitive online cash advance rates online, it will cost you less than bounced check fees, an electrical re-connection charge or missing a day's work due to car repairs. Our online application is fast and easy. Spotya! is an online payday lending servicing company. You will have the cash you need and the personal service you deserve. You can apply for your loan online, so you don’t have to leave the comfort of your own home. 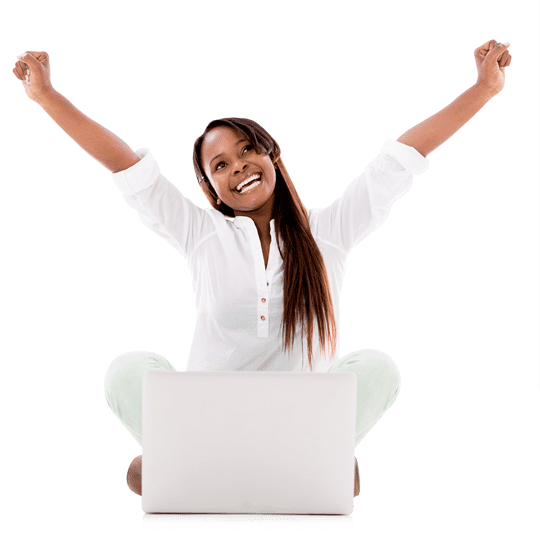 If you're facing a cash crisis that can't wait until your next payday, get the cash advance you need right from the convenience of your computer, tablet or smartphone. 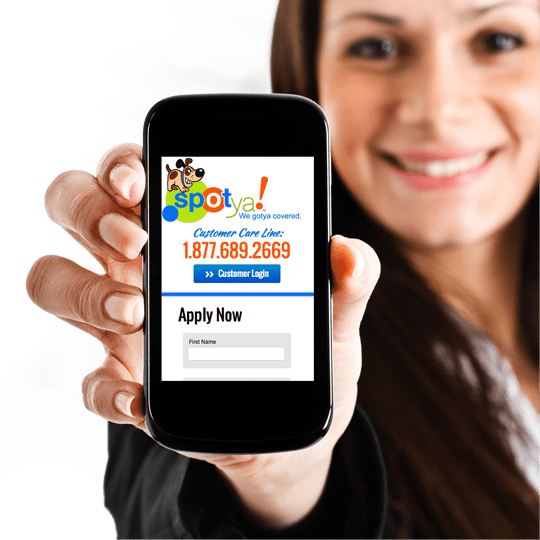 To apply for a cash advance​, you simply need to provide us with a few personal and employment details and have a valid checking account where your paycheck is directly deposited into your bank account. Your information is submitted to our network of lenders for approval. When your application is approved the funds will be electronically deposited into your bank account the next business day! With no hassles, the process take minutes not hours. Your cash will be waiting for you in your bank account! It really is that simple to get the cash you need when you're in that financial pinch. You may have a good credit, poor credit, or no credit at all. Whatever the case were ready to help help with that short-term financial crunch. Before you get a online cash advance always exhaust all efforts to find the cash you need before applying for your loan. A cash advance is designed to meet your short term cash emergency only. The funds are paid back on your next pay date (never to exceed 21 days). A paycheck advance is a temporary solution that can see you through a financial emergency. So, if you're facing a cash crisis that can't wait until your next payday, get the cash you need, and the service you deserve through Spotya! your cash advance service provider. A short term cash advance provides a quick and easy approval process. You can get the cash you need by the next bank business day. Your fast cash will be deposited directly to your account with NO hidden fees from one of many direct payday lenders. Make sure you carefully read your documentation and e-sign for your loan. Your loan will automatically be debited from your bank account on your next pay date. Spotya! offers a simple application procedure no documentation. Spotya! has been serving borrowers since for over a decade.